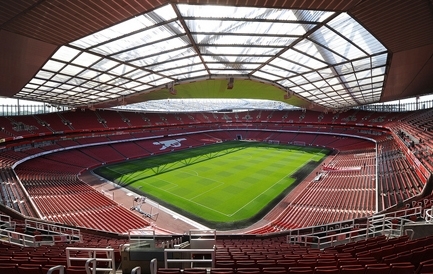 Emirates Stadium tickets are extremely popular and in high demand. Main bus stops are located on Holloway Road, Nag's Head, Seven Sisters Road, Blackstock Road and Highbury Corner. Direct, high frequency services from much of north and central London travel within five minutes walk of the ground. Kings Cross is the main station for overground rail and is also served by many underground lines. To get to the stadium from Kings Cross connect with the Piccadilly Line to Arsenal Station or the Victoria Line to Highbury & Islington. Alternatively, a short overground rail journey of one stop will take you to Finsbury Park station. Both Arsenal and Holloway Road Stations (Piccadilly Line) are around three minutes walk from the ground. Finsbury Park (Victoria / Piccadilly Lines and overground rail) and Highbury & Islington (Victoria Line, North London Line, overground rail) stations are around 10 minutes walk from Emirates Stadium - and should be slightly less crowded than Arsenal Station. .Don't miss the amazing experience of seeing the behind the scenes of Emirates Stadium historical moments – check out our Emirates Stadium stadium tour tickets!